If you’re in need of a diminutive Bluetooth speaker that still packs an auditory punch, Amazon’s got a deal for you right now. The Bose SoundLink Micro Bluetooth speaker is on sale for $80. That’s about $20 off the usual price, and $30 under the speaker’s MSRP. We saw it for $10 less around the holidays but for this time of year it’s a great price for a stellar wireless speaker. We reviewed the SoundLink Micro in late 2017 and loved it, awarding the speaker a 4 out of 5 star rating. At the time we weren’t big fans of the $110 price tag, but at $80, it’s a very good deal. 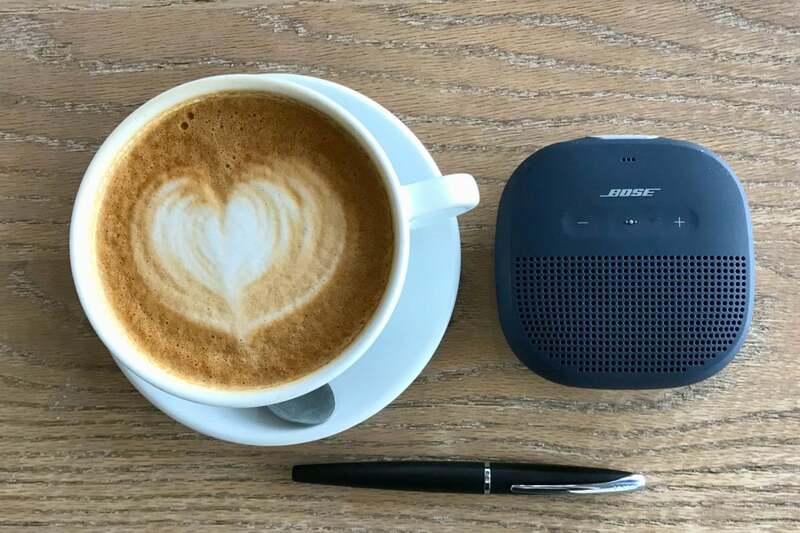 The Bose SoundLink Micro sounds pretty good for its diminutive size, offering good audio channel separation, but not good enough to create a true stereo sound. For that, you’ll need two of these speakers and put them in what Bose calls party mode. Music audio sounds crisp and the bass hits impressive levels for a palm-sized portable speaker. The SoundLink Micro is waterproof with an IPX7 rating, which means you can dump it in water about as deep as a bathtub for less than 30 minutes without issue. Bose says you can expect up to six hours of play time on one charge. The Bluetooth wireless range maxes out at 30 feet. This is also a truly micro speaker, measuring about 4 x 4 x 1.5 inches. That makes it smaller than a coffeehouse latte, as you can see in the picture above. Seriously, this thing is tiny—but it doesn’t sound like it.